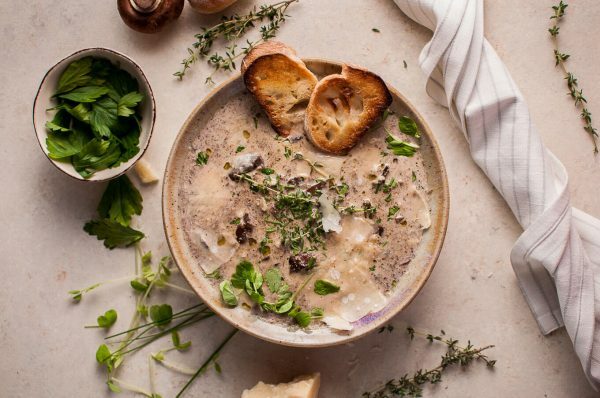 Sprinkle some Lavender in your Portobello and Crimini Mushroom Soup with a splash of Sherry and you have a side meal perfect for any occasion. Add garlic, dried lavender, vegetable broth, cream, and a few dashes of Italian seasoning. Increase heat to high, and just before it comes to a boil, slowly stir in the flour and reduce heat to medium low. Simmer soup for about 15 minutes until cooked through and thickened.